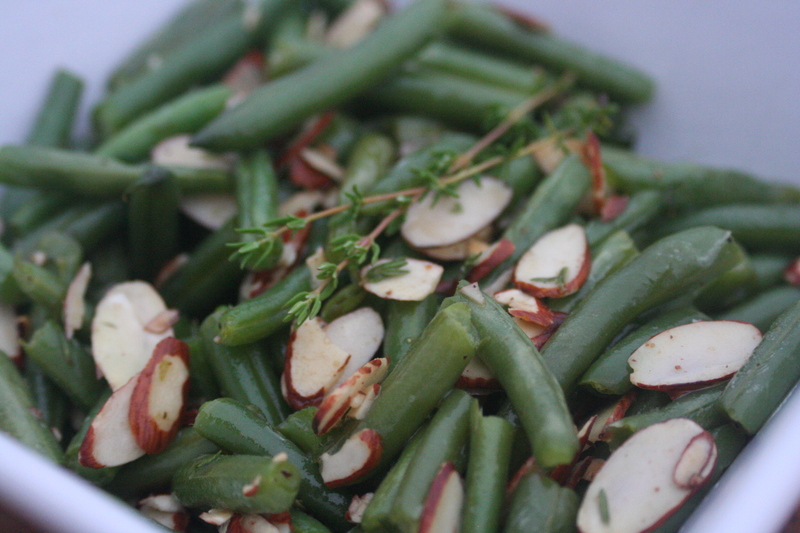 Fresh green beans are hard to beat. They are tender crisp and delicious. These two recipes were SO GOOD and I can't remember where I found them but I modified both a little. The salad was one of our top favorite salads ever. It would be great for pitch-ins! Place beans in a steamer basket. Place in a saucepan over 1 in. of water; bring to a boil. Cover and steam for 10-12 minutes or until crisp-tender. In a large skillet, melt butter; add the hot beans, thyme, salt and pepper, & almonds. Cook and stir for 5 min. or until heated through. Place green beans in a steamer over 1 inch of boiling water, and cover. Cook until tender but still firm, about 6 min. Immediately put in ice water to stop the cooking and chill them. 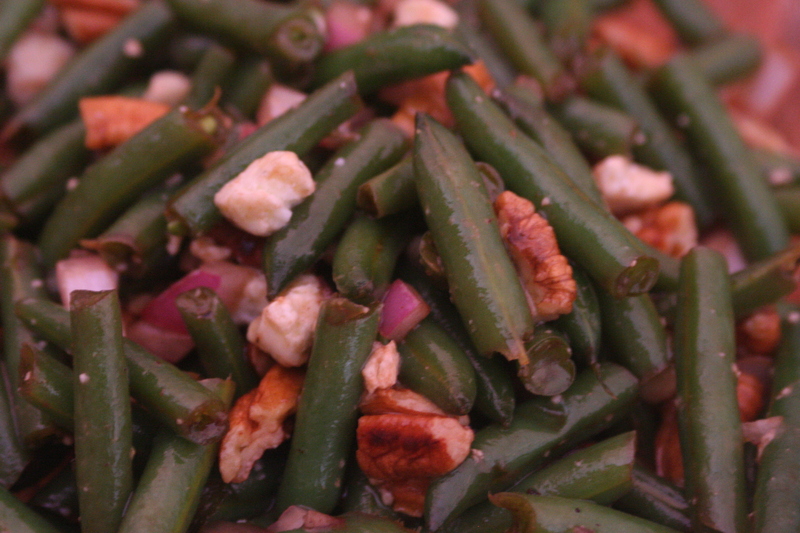 In a medium bowl, combine beans, onion, blue cheese, and pecans. Stir in olive oil and balsamic vinegar. Season with salt and pepper. Chill for at least an hour before serving. mmm, green beans!! thanks for the recipe ideas :-) it's nice for a change from steamed green beans served simply tossed with melted butter and some salt and pepper.